Changes in general skilled migration policies!! Home > career > Changes in general skilled migration policies!! South Australia has introduced changes to its general skilled migration nomination policies. South Australia has opened up doors for migration and offered concessions to those international students who have ‘shown their commitment to the state’ by continually residing in South Australia since March 2012. “Immigration SA particularly would like to recognise those current and former students that have contributed to and remained in South Australia (and no other jurisdiction) for many years, showing their ongoing commitment to the state,” says the state’s official immigration website. 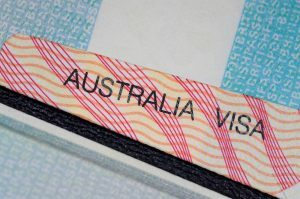 The changes, taking effect from Thursday, 28th Feb 2019, include offering state nomination for the Provisional 489 visa to the applicants who fulfil given conditions like living in South Australia since 2012, among others. According to the department, any current or former international student who has resided continually in South Australia since March 2012 or earlier and continues to reside in South Australia, will be offered state nomination for the Provisional 489 visa. The applicant will be offered state nomination if he or she is working in South Australia in any occupation (does not have to be at a skilled level) for at least the last 3 months (minimum of 40 hours per fortnight) or studying a course with a minimum duration of one academic year in South Australia.